This bell push bridges the gap between modern and traditional design. 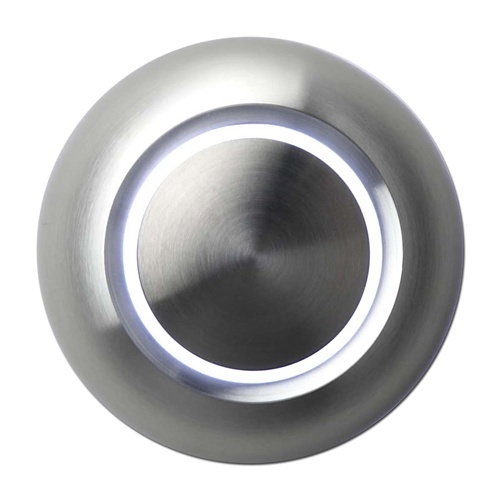 An all-metal push button is surrounded by a thin halo of LED-illuminated color, which also reflects against the mounting surface. Designed to fit well with residences built from 1900 on, it comes in several finishes and three illumination colors, as well as a non-illuminated option. Substantial in feel but narrow in diameter, Puck mounts well to narrow doorjambs and other tight applications. This doorbell button can only be used in combination with a transformer, in battery mode function would not last for long!